Book an Equity or SAG gig in Los Angeles today. A new live-streaming app is casting ongoing content creators, young performers that can sing, dance, and have a conversation with their audience through the new app. Plus, productions of “Mamma Mia!” and “Bright Star” are playing in L.A. and seeking talent for leading, supporting, and ensemble roles. 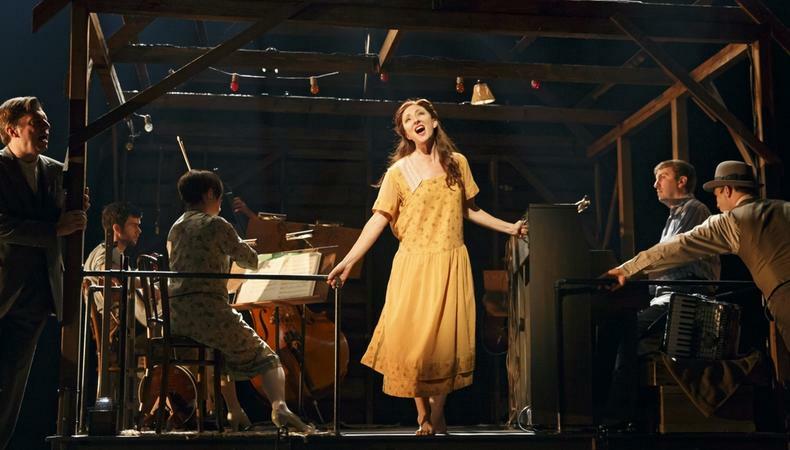 A Candlelight Pavilion production of “Bright Star,” with music by Steve Martin and Edie Brickell, is casting male and female talent for leading, supporting, and ensemble roles. The show features characters as teenagers in the 1920s and as adults in the 1940s. The team is seeking Caucasian female talent with a strong singing voice, aged 25–35, to play Alice, Caucasian male talent, aged 20–30, to play Billy, and male talent, aged 18–25, to play Jimmy. Additional supporting roles are available for male and female talent, aged 40–55, and ensemble roles are open for male and female talent, aged 18–50. Auditions are by appointment on Feb. 18. Rehearsals begin March 18 and the show runs from April 19–May 25, in Claremont, California. Talent will be paid for rehearsals and given a per-show rate. Apply here! A production of the hit musical “Mamma Mia!” is casting. The play features hit songs from pop-group ABBA and tells the story of a young woman seeking the identity of her father on the eve of her wedding. The production is casting Asian, Southeast Asian, or Pacific Islander talent with strong singing voices to play principal roles and to double in the ensemble. Additional supporting and ensemble roles are available for POC talent with strong singing voices. An Equity Principal Audition is scheduled for Feb. 18. Rehearsals begin on April 9 and the show runs from May 16–June 9, with a possible extension to June 23, in Los Angeles. Talent will be paid $425 per week under an Equity SPT Contract. Apply here! An online commercial for a brand product is filling a stand-in role. The shoot is casting African American or African female talent, aged 18–40, to stand-in for lead actors and will primarily have their hands photographed. Pre-light is scheduled for Feb. 11 and the actual shoot will take place on Feb. 12 in Los Angeles. Talent will be paid a SAG-AFTRA contract rate. Apply here! A live streaming app is casting content creators. The company is seeking male and female talent, aged 18–35, with outgoing personalities that love to interact with people. Talent will create content, including singing and dancing, engage in conversations with the audience, and maintain a presence on all social media platforms. This is an ongoing commitment and the team is asking for at least 30 hours per month, at $15 per hour plus gifts. An open casting call is scheduled for Feb. 19 and 20 in Los Angeles. Apply here!